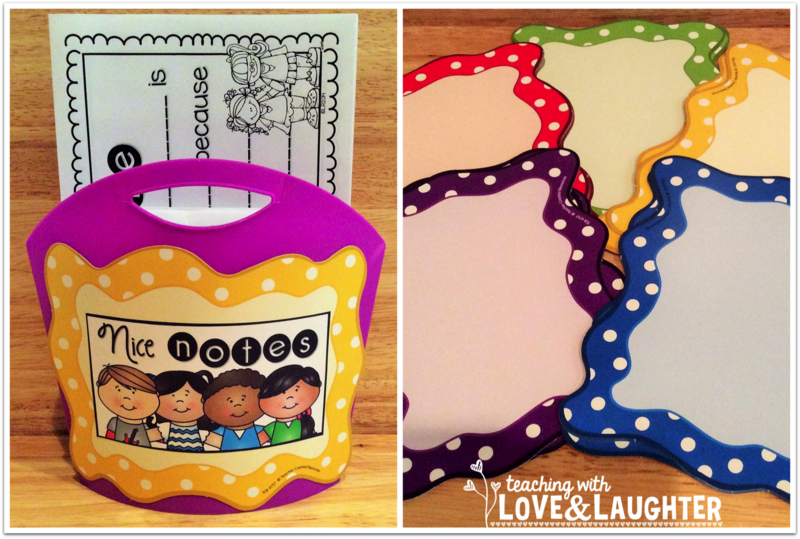 Teaching With Love and Laughter: Dollar Saving Teachers! As teachers, we spend a lot of our own money to make our classrooms beautiful and to help our students learn. We just can't help ourselves! Well, I am teaming up with Teacher Created Resources, to show you how we can still make our classrooms beautiful and help our students learn without breaking the bank! Teacher Created Resources has tons and tons of affordable and attractive decorative products to help dress up inexpensive items to make them look like you spent way more than you actually did. I used these pencils and hands to decorate this cup I bought at Walmart for $1.00. I will label each pencil with my students' names once I have them and I will use it when I want to make sure to call on all my students during whole group activities. I call it my "ask me" cup. 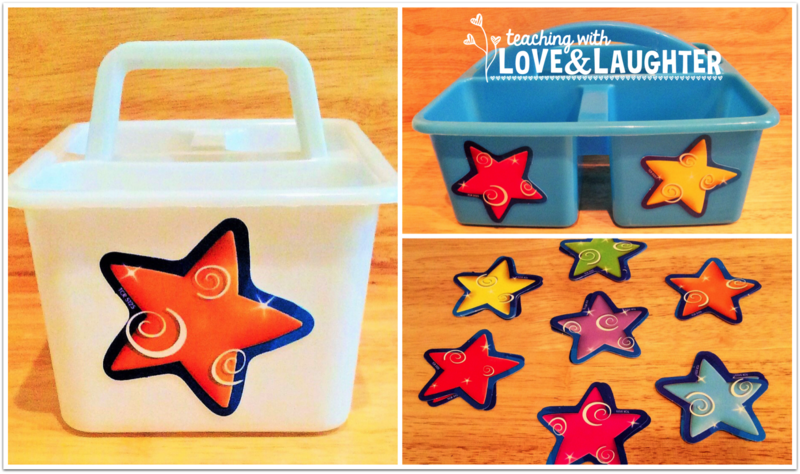 I used these stars to decorate my caddies. 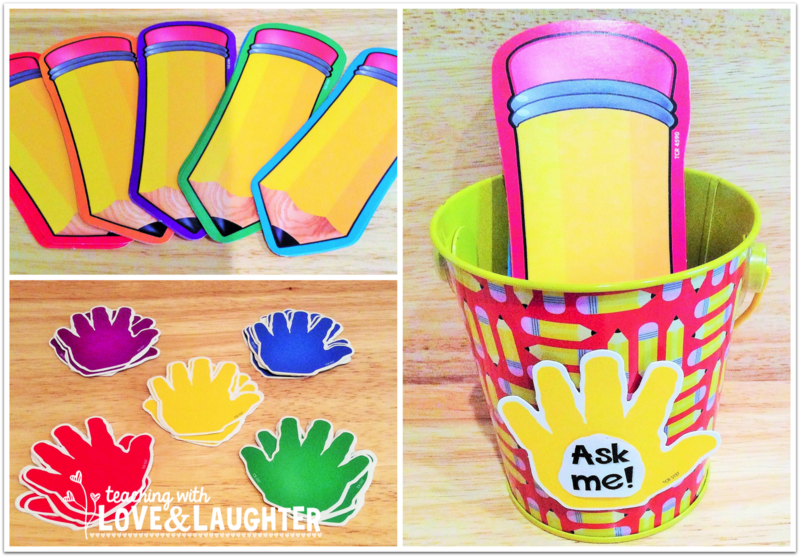 The small caddy holds glue sticks and scissors and the large one holds pencils, crayons, and erasers. The stars make the caddies look so much prettier! I used these polka dot cards to label this small bin I bought at Michaels for $1.00. This bin will hold my nice notes at my work on writing station. So, as you can see, adding some inexpensive decorative elements to inexpensive items really helps to add some pizzazz! 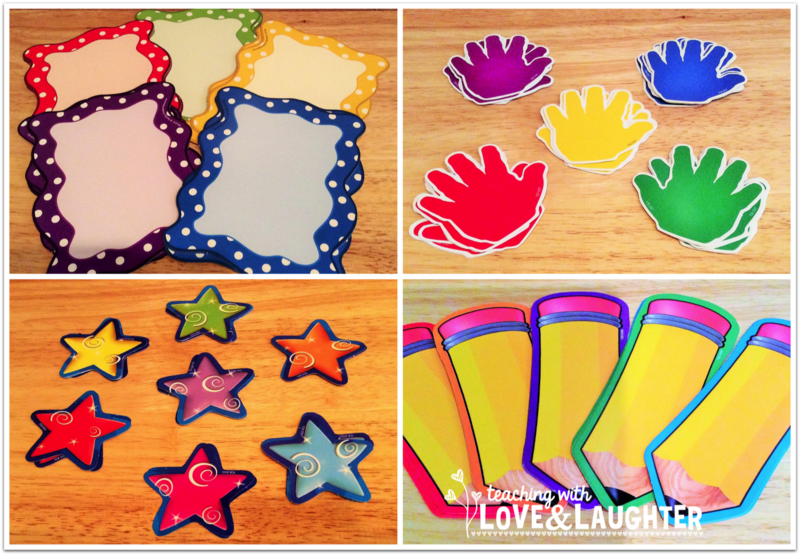 You can even use these decorative elements to make learning games for your stations. Teacher Created Resources has created a pinterest board where you can find more dollar store products. I hope you go and check them out! LOVE that bin from Michael's with the polka dot border! It holds papers just right! Fun!